Do you all see her face and her eye? Is this pic fuzzy or something? she is looking to the left, it is her profile. There is an eye and eyebrow, a nose and a mouth. If you don't see it, tell me. Maybe I am the crazy one! Beautiful! Saw this as your tiny profile pic from a comment you made on someone else's tat and just had to check it out. 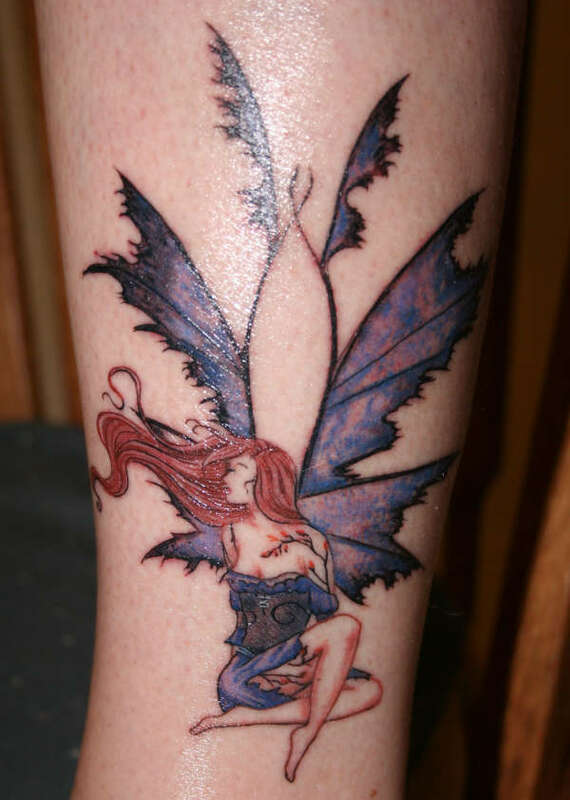 Love the fairy, and the wings make a really pretty overall shape to the piece. love this one as well great detail! Incredible, i love the detail on this one, the artist truly did a great job. The hair makes it.....like your new fairy, this is an excellent piece. Awesome tatts girl!! !